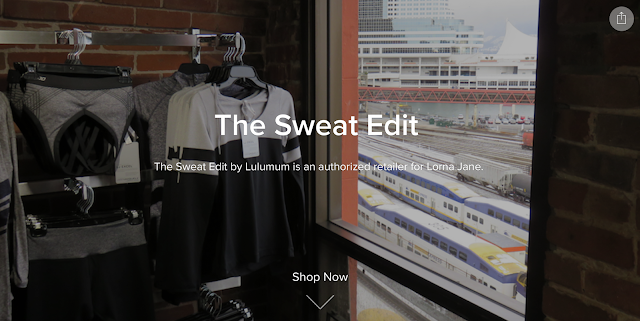 I am so excited and proud to share with you my Sweat Edit store which is finally live! I’ve linked to it in the images below but there is a tab living on the nav bar of my blog that will take you right to my store. I was really excited to have my first order the other day which you can see in the picture below. It was great to try out an order with my store in beta mode and see how smoothly the transaction went through. That order is now shipped off to my customer and I’m really excited for her to receive it. My store takes credit card, apple pay and PayPal and is in CAD! The CAD option is especially great for those of you in the US that wish to take advantage of our low Canadian dollar. I’m even going to have a square chip for local sales! Check out my store! I only have two items in stock at the moment but that will change as I increase my inventory and streamline my merchandising order process. 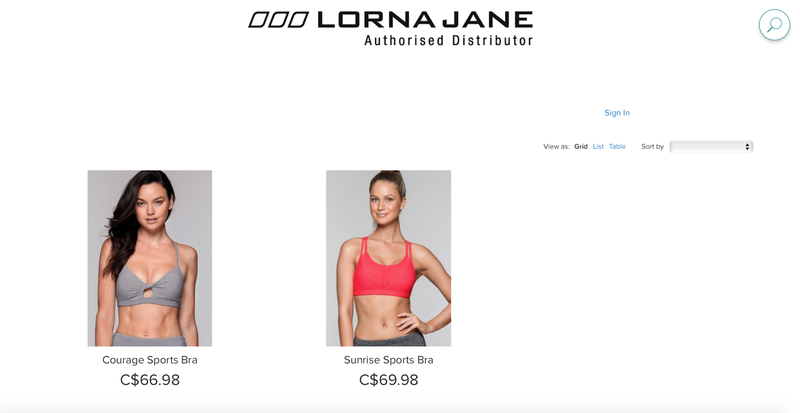 "Gear Up Crop, Get Ready Jacket, Double Tap Bra"
I didn't even know what Lorna Jane was until you posted a while back…. and it didn't click until today that I have pants with the pretty heart inside of it and lowen-be-hold they are Lorna Jane. I absolutely love them and I may have to order a bra to see how they are! So happy you are doing this and can't wait until your inventory grows! That's so funny! Where did you buy them? I have quite the stash of LJ that I've gotten over the past two years and I love each of those pieces still and they are my go-to's. I'm hoping to do fit reviews of products as I stock up my store, that way nobody is ordering blind, and you get a chance to see the items on a real live person and outfitted. ^Autocorrect happens. Take it easy. Not always caught when trying to type on a phones keyboard. I bought them at winners actually…. for $11 🙂 I had no idea who the label was and I thought the heart was a nail sticker haha. But I love them, actually far more than my lulu ones. Thats funny! My local winners are so small they never have the good fitness brands in. Congratulations and best of luck, Lulumum! Hi, how is the sizing in the sport bra compare to Lulu and do they fit tts? Also, how much is shipping to the US? Thanks! Hi there, I'm a size 10 in lululemon bras and I take an L in Lorna Jane. They fit TTS for me. Size 8 would be a medium, size 6 small, size 4 xs. Ok. So happy for you but I have a question. I placed my first (and only) order with Zlotna Jane about a year ago. I ordered a pair of shorts that were on sale. Paid a pretty hefty shipping price(pretty made it full price after shipping) I received the shorts & not only was the fit Awful, but material felt like plastic & there was an ink stain on them. They gave me an awful time. I was told I couldn't return because they were on sale (even though nowhere during my checkout process did it state I couldn't return), but on top of the $10+ I paid for shipping, I had to pay the same th return, even though there was a stain. I was out over $20 on defective, ill fitting, plastic-feeling shorts. So, I guess I am asking you if the return policy is the same if I order through you. I would like th try a bra, because I have heard great things about bras, but am highly skeptical after the shorts fiasco. Thank you for any input Lulumum! Lj are australian and therefor the returns policy is different. Usa have rudiculous policies. Here in australia if you cut the tag off, its yours (no exceptions). If you see it for a lower price, too bad, you dont get a refund as youve chosen to purchase it at that price. If you do return,tags must be in tack and you have a receipt that was purchased in the last x weeks (normally a 7 or 14 day period). If you purchase from me, you can return to me within two weeks with tags still attached. I'm just a small boutique store and I buy my inventory so your return would be through me. Lorna Jane is complete rubbish. The companys namesake is well known for her body bias … eg asvertising for a receptionist that doubles as a clothes model but must be an australian size 8. The average australian cant even fit into her clothes and her singlet slofans have been widely criticised. Its not a place i chose to shop! Its also overpriced for the quality you get. I agree and I am not impressed by their stuff either. Pretty generic and blah, like Lucy or Under Armour. Prices are higher than Lulu. 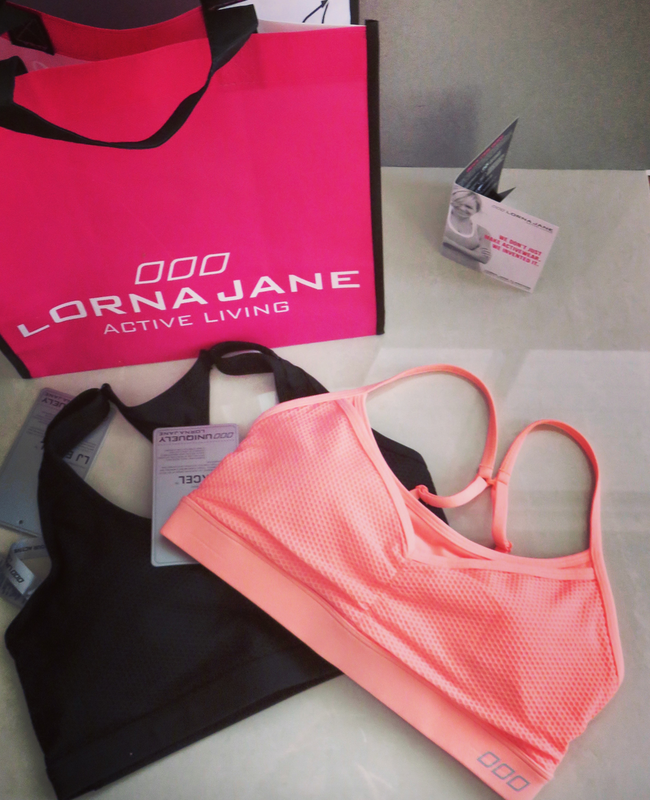 I have about 7 items now from Lorna Jane and the are excellent quality and have worn and washed really well. I'm a size 10 and have no trouble finding items. They have items ranging in sizes xxs to xl which is a lululemon sized 12. Well I'm excited I've thought about ordering but the full price stuff is even higher than lulu so I never pulled the trigger. I did notice their return policy sux. Say what you want but most American stores have better return policies than lulu. I love those floral crops/tights you featured look forward to hearing more about them. A new Lorna Jane store just opened at South Centre Mall and I'm loving it. I've bought a few items in the past few weeks that are great quality and full of sass. As much as I enjoy shopping at lulu it's nice to have a few options. Regarding the return policy you have 30 days to return for a refund or exchange as long as tags are still attached. I feel like that's reasonable. I personally don't like LJ bc the one pair of pants I have started sagging after time. I also dislike their return policy. Yet seem super strict and not nearly as customer friendly as some of its competitors. That's my biggest deterrent from purchasing with them. Congrats lulumum! I buy LJ for their colors! When lulu goes drab I turn to LJ for the the brightness. The pop of colors are just slightly different than other athletic wear which makes them unique. The tanks are soft and bras are good quality.